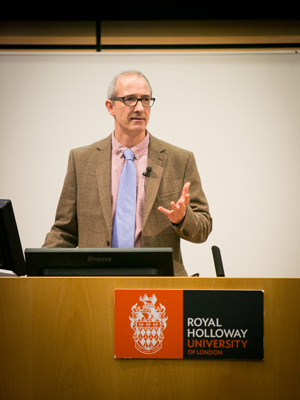 Rafael Yáñez is the Director of the Centre of Gene and Cell Therapy at the School of Biological Sciences, Royal Holloway, University of London, UK. Prof Yáñez previously held Lecturer appointments with King’s College London and University College London, and received his BSc and PhD in Biochemistry and Molecular Biology from the Autonomous University of Madrid, Spain. Prof Yáñez has a strong interest in research translation, and extensive experience in gene and cell therapy for both common and rare diseases. He is particularly involved in the development of safer methods, using genome editing (watch a videoclip on his genome editing research) and viral vectors modified to avoid integration in the cellular genome. His latest research is of relevance to neurodegenerative and inherited diseases, including ataxia telangiectasia, spinal muscular atrophy, spinal injury, Parkinson disease, immunodeficiencies and Duchenne muscular dystrophy. 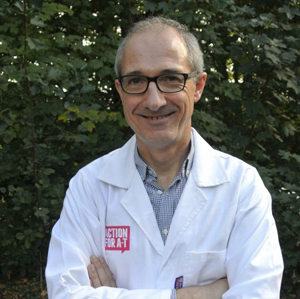 Prof Yáñez is Editor-in-Chief of Gene Therapy, Treasurer of the British Society for Gene and Cell Therapy and Chair of Trustees of the Genetic Alliance UK. You can read an interview with Rafael here or watch a fireside interview on advanced therapies here. 26 Mar 2019 - Rafael gives outreach Masterclass on Gene Therapy at Upton Court Grammar School, Slough. 28 Feb 2019 - Rafael is interviewed for The Naked Scientists podcast The common case of rare diseases. 28 Feb 2019 - On Rare Disease Day 2019, Rafael publishes on Newborn blood spot screening in Guardian supplement. 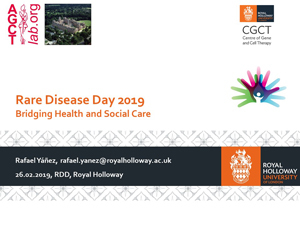 26 Feb 2019 - 9th Rare Disease Day event at Royal Holloway, heavily over-subscribed and a complete success. 23 Jan 2019 - Ellie and Rafael attend at the UK Spinal Muscular Atrophy (SMA) Research Day 2019 in Keele. 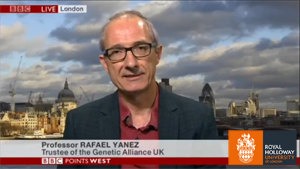 17 Dec 2018 - Rafael is appointed Chair of Trustees of the Genetic Alliance UK. 29 Nov 2018 - Versha attends at the Ataxia-Telangiectasia Clinical Research Conference 2018 in Naples. 23 Nov 2018 - Versha (session Chair) and Rafael attend at the British Society for Gene and Cell Therapy Autumn Conference. 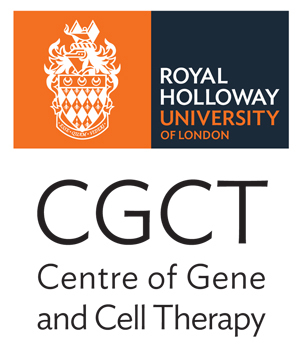 27 Sep 2018 - Launch Meeting of the Royal Holloway Centre of Gene and Cell Therapy, with Rafael as founding Director. 25 Sep 2018 - Rafael attends at the Genetic Alliance UK Annual Meeting and AGM. 07 Sep 2018 - Rafael attends at 20th Annual Spinal Research Network Meeting in London. 12 Jul 2018 - Rafael is the orator at the induction of Mr Iain Ross as an Honorary Fellow of Royal Holloway. 09 Jul 2018 - Rafael attends House of Commons reception in support of European Reference Networks for Rare Diseases. 08 Jul 2018 - Our project on CRISPR Genome editing for Ataxia telangiectasia is showcased in BBC Radio 4 Appeal. 07 Jul 2018 - Pradeep has successful PhD viva on Myostatin blocking antibodies in neuromuscular disease at Royal Holloway. 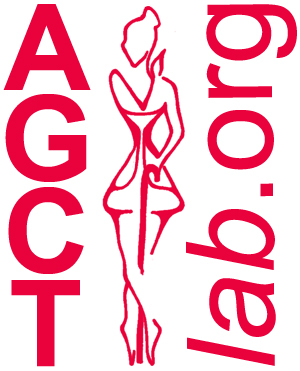 05 Jul 2018 - Our AGCTlab.org joins the UK MDEX Consortium, to develop therapies for neuromuscular diseases. 05 Jul 2018 - Rafael lectures at the Spinal Research and Wings for Life Spinal Cord Injury and Neurotrauma Summer School. 01 Jul 2018 - Rafael publishes editorial on CAR-T in the clinic: drive with care in CAR-T cells special issue of Gene Therapy. 14 Jun 2018 - Rafael attends at Cure SMA Research Meeting 2018: see his Twitter Moment conference summary. 29 May 2018 - Hayder and Céline publish paper on Genome editing in primary immunodeficiency in Scientific Reports. 23 May 2018 - Jamuna receives Poster Prize at the Advances in Cell and Tissue Culture Conference 2018, Cardiff. 27 Apr 2018 - Rafael chairs session on Safety and novel vector design at the BSGCT Spring Conference 2018 in London. 21 Mar 2018 - Rafael gives lecture on Genome editing at the ESGCT/BSGCT Spring School in Oxford. 14 Mar 2018 - Marc has successful PhD viva on Duchenne muscular dystrophy genome editing at Royal Holloway. 06 Mar 2018 - Jamuna, Ellie and Rafael attend at the annual meeting of their UK SMA Research Consortium in Sheffield. 27 Feb 2018 - Rafael gives outreach Masterclass on Gene Therapy at Upton Court Grammar School, Slough. 26 Feb 2018 - 8th Rare Disease Day event at Royal Holloway, our most successful yet. 07 Feb 2018 - Rafael exhibits at the London Oratory School Career evening. 24 Jan 2018 - Jamuna gives oral presentation on Blood-brain barrier model at the Spinal Muscular Atrophy Congress, Krakow. Rare Disease is hot on the agenda! How is that possible if they are rare diseases? Well, there are 6,000-8,000 of them (we do not even have an accurate number! ), and even though each disease affects fewer than 1 in 2,000 people, taken together they are a massive issue. So why are rare diseases hot on the agenda? Because slowly but finally there is widespread understanding of their importance. Countries are developing Rare Disease National Plans (see the recently published UK National Strategy for Rare Diseases, which will provide the basis for the National Plans in the UK Nations). International collaboration, always important in research but critical in the case of rare diseases, has allowed the creation of an International Rare Disease Research Consortium (IRDiRC), with declared goals of developing diagnostic methods for most rare diseases and treatments for 200 of them by 2020, and a new 2017-2027 vision to Enable all people living with a rare disease to receive an accurate diagnosis, care, and available therapy within one year of coming to medical attention. And Gene and Stem Cell Therapy research has finally provided some curative treatments, with many more in the pipeline. Is the job done? By no means. It still takes five years for some people to be properly diagnosed, the care for most people affected is far from optimal, and in most cases there is no curative treatment. Raising awareness is critical, and that is the goal of Rare Disease Day, an annual international awareness day celebrated the last day of February (because on a leap year it is a rare day!). Prof Yáñez organises a yearly event to mark Rare Disease Day (RDD@RHUL). We have shown that a gene can be delivered with extremely high efficiency to spinal motor neurons, the cells chiefly responsible for several neuromuscular diseases like Spinal muscular atrophy (SMA) and Motor neuron disease (MND, also called Amyotrophic lateral sclerosis, ALS or Lou-Gehrig's disease). 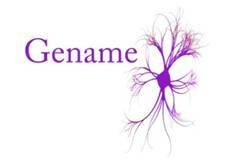 Our method delivers the gene prenatally, which could be very important for therapy of severe types of SMA because this disease starts before children are born. In the case of MND this novel method could help improve our understanding of the disease. Our laboratory works on gene and cell therapy for common and rare (mostly inherited) diseases. Our main interest lies in the development of safer methods relying on either episomal vectors or genome editing (aka genome surgery or gene repair). We mostly use novel, integration-deficient lentiviral vectors and adeno-associated viral vectors. Using episomal vectors we are particularly interested in the treatment of spinal muscular atrophy, spinal injury (both of which are rare diseases) and Parkinson disease. We have also converted the non-replicating integration-deficient lentivector episomes into replicating episomes of wider applicability. Using genome editing we are developing treatments for the rare primary immunodeficiencies, ataxia telangiectasia and Duchenne muscular dystrophy. Haematopoietic stem cells and induced pluripotent stem cells (iPSCs) are our preferred stem cell models. Too obscure? Try the lay description below instead. Labelling of neurons with integration-deficient lentiviral vectors. A vector expressing eGFP (a gene that makes cells fluoresce green) was used to mark cells in the spinal cord (left) or the olfactory bulb in the brain (right). On the left panel motor neurons were also stained red with an antibody, so if these cells have taken up the viral vector the overlap of red and green fluorescence in their cell bodies is seen as yellow. Many gene therapy strategies require transduction (genetic modification with a viral vector) of somatic stem cells, neurons or other cells which divide rarely or do not divide at all. HIV belongs to a class (Genus) of viruses called Lentivirus, which in turn are part of a wider Family called Retroviridae, or more commonly, retroviruses. Lentiviruses distinguish themselves from other retroviruses in several ways, including their ability to cross the nuclear membrane, which allows them to infect cells that are not dividing. However, in common with other retroviruses, lentiviruses integrate their genome into the chromosomes of the cells they infect. Retroviral and lentiviral vectors likewise integrate into the genome of the transduced cells, which can lead to unwanted effects on the genes at or near the integration site, something called insertional mutagenesis. In the worst-case scenario such negative events can lead to cancer. Furthermore, each transduced cell will have the vector integrated at a different chromosomal location, which may affect or not vector gene expression. This can cause differences in vector gene expression in different cells, what we call position effect variegation. It has long been known that lentiviral vectors can be made integration-deficient using integrase mutations, but previously observed gene expression levels in vivo were very poor in the absence of integration. Generation of episomal lentivector circles. The linear double stranded DNA vector molecule produced by standard lentivectors either integrates in the cellular genome or is converted into viral episomes. Higher levels of viral episomes are produced if integration is prevented through the use of mutations affecting the viral integrase. We originally demonstrated that lentiviral (HIV) vectors modified to prevent integration in the cellular genome (so-called integration-deficient lentiviral vectors or IDLVs) are very efficient tools for gene therapy (Yáñez-Muñoz et al., 2006). We render the vectors integration-deficient by using missense mutations altering the integrase active site. Failing to integrate in the host cell genome these lentivectors generate increased levels of episomal vector circles, which lack replication signals and get diluted out through cell division. Gene expression from the viral episomes is transient in dividing cells but long-lived and efficient in quiescent tissues, including eye, brain, spinal cord and muscle (Yáñez-Muñoz et al., 2006; Hutson et al., 2012a,b; Peluffo et al., 2013; Lu-Nguyen et al., 2014; Lu-Nguyen et al., 2015). The main advantages of these non-integrating lentivectors in gene addition strategies are their highly reduced risk of causing insertional mutagenesis and their avoidance of position effect variegation. Effective gene expression and therapy with non-integrating lentivectors in vivo. (Left) Integration-defective lentivector encoding eGFP was injected subretinally in adult mice. The image shows eGFP fluorescence in the fundus of the eye 9 months post-injection. (Right) RPE65-encoding lentivector was injected subretinally in RPE65-deficient mice. The electroretinograph shows electrical activity in the retina of the treated eye (but not in the contralateral eye) three weeks post-injection, indicative of the prevention of retinal degeneration caused by RPE65 deficiency (Courtesy of Prof Robin Ali). The episomal lentiviral circles do not have replication sequences and in proliferating cells they are progressively lost by dilution as the cell population expands. This makes them good vectors for transient gene expression in dividing cells, where they can provide a moderate expression level. We have recently patented and published a method in which a modification of culture conditions at the time of integration-deficient lentivector transduction allows efficient establishment of replicating episomes of wider applicability, in a collaborative project with Prof George Dickson (Kymäläinen et al., 2014). Transient gene expression by integration-deficient lentiviral vectors in proliferating cells. HeLa cells were transduced at the indicated multiplicity of infection (MOI, vector copies/cell) with integration-proficient (int+) or integration–deficient (int-) lentivector expressing eGFP. The percentage of green cells at the indicated times was determined by flow cytometry. Similar percentages of transduction were achieved at 3 days post-transduction regardless of integration proficiency. Transduction percentages with non-integrating vector decline progressively as the cell population expands. Lentiviral episomes can also be used as platforms for cassettes designed for site-specific (Moldt et al., 2008) or homologous recombination (Rocca et al., 2014) with the cellular genome. These strategies allow targeting of such cassettes to safe havens where no cellular genes will be negatively affected by the insertion event. Homologous recombination (gene targeting) can also be used for genome editing, the ideal form of gene therapy for rare inherited diseases, in which the endogenous gene is repaired (Yáñez and Porter, 1998; Popplewell et al., 2013; Rocca et al., 2014; Prakash et al., 2016). The inventors of gene targeting received the 2007 Nobel Prize in Physiology or Medicine. The development of designer nucleases (most famously CRISPR-Cas, but also meganucleases, zinc-finger nucleases and TALENs; Prakash et al., 2016) which can cut the target gene and thus greatly boost the frequency of homologous recombination, has been a determining event to make gene repair a credible therapeutic strategy. In some cases, even the destruction of a gene by nuclease-only genome editing can provide a therapeutic benefit, exemplified by the clinical trials exploring destruction of the HIV CCR5 co-receptor in T-cells. The nuclease genes can also be delivered to cells using lentiviral episomes. Correction of a mutation by gene repair. A corrective vector carrying genomic DNA with wild-type sequence undergoes homologous recombination with the mutant gene, resulting in the correction of the genetic mutation (orange lollipop). The corrected gene is expressed under physiological regulation from its endogenous locus. Dr Michael Holmes (Sangamo Biosciences, Inc, USA) and Dr Philip Gregory (formerly at Sangamo). CHASE-IT consortium: Dr Liz Bradbury (Wolfson CARD, King’s College London), Dr Joost Verhaagen (Netherlands Institute for Neuroscience), Dr Liz Muir (University of Cambridge). 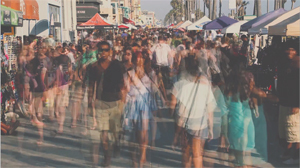 Medicine has little to offer against many diseases, and this is particularly true in the case of neurodegenerative and inherited disorders, most of which are rare diseases (affecting fewer than 1 in 2,000 people). Gene and cell therapy is a relatively new field of biomedical research that is attempting to address this need by developing a new breed of pharmaceuticals based on nucleic acids (DNA, RNA and artificial derivatives). The idea is that the activity of our genes (or the genes of organisms that infect us) can be manipulated using designer nucleic acids to modify the relevant cells in our bodies, and in that way cure, ameliorate or slow down disease. As our cells are very efficient at preventing the entry of nucleic acids, scientists need to develop tools to introduce them by stealth. Viruses are very good at bringing their genes into cells, so scientists have learned to hijack viruses: they remove all the pathogenic viral genes (which cause disease) and replace them with the designer genes that they want to use for treatment. By doing this they produce viral vectors, which currently are the most efficient way to deliver nucleic acids to cells. Many different viruses have been converted into viral vectors, and our laboratory mostly works on gene therapy with vectors derived from HIV, the lentivirus causing AIDS. In addition to removing HIV’s pathogenic (which cause the disease) genes, we make lentiviral vectors even safer by preventing them from inserting their DNA into the cellular chromosomes. This stops our vectors from affecting cellular genes in ways that could cause cancer. We are using these novel lentivectors to develop therapies for the rare spinal muscular atrophy (a progressive inherited disease affecting neurons in the spinal cord) and spinal injury, and the more common Parkinson disease (a progressive disorder in which specific brain neurons die). For these diseases we are using non-integrating lentiviral vectors to introduce extra genes that we believe may have a beneficial effect. However, for many genetic diseases the ideal treatment would be gene repair of the faulty gene inside the cell, something that can be achieved by doing genome editing (the inventors of such targeted gene modification received the 2007 Nobel Prize in Physiology or Medicine). We are using genome editing to repair the faulty genes that cause a form of severe combined immunodeficiency (a disease of the immune system that makes patients unable to fight infections), ataxia telangiectasia (a disease affecting movement and the immune system), and Duchenne muscular dystrophy (a degenerative neuromuscular disease first affecting mobility and later breathing and the heart).